About us - Jai Maa Chintpurni Ji! Jai Maa Chhinnmastika Ji! This website is a non-commercial and no-profit effort by Maa Chintpurni's devotees to spread Maa's greatness around the world. By no means, are we connected to the Temple Trust or authorities. We have tried to bring together as much information we could. However, we would not be able to make any transport or visiting arrangements. Hope you enjoy Maa Chintpurni's darshan with us. May Maa Chintpurni bless us all! Jai Maa Chintpurni Ji! 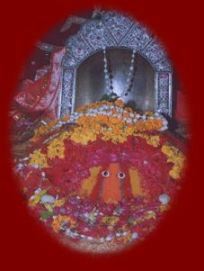 Jai Maa Jwala Ji!